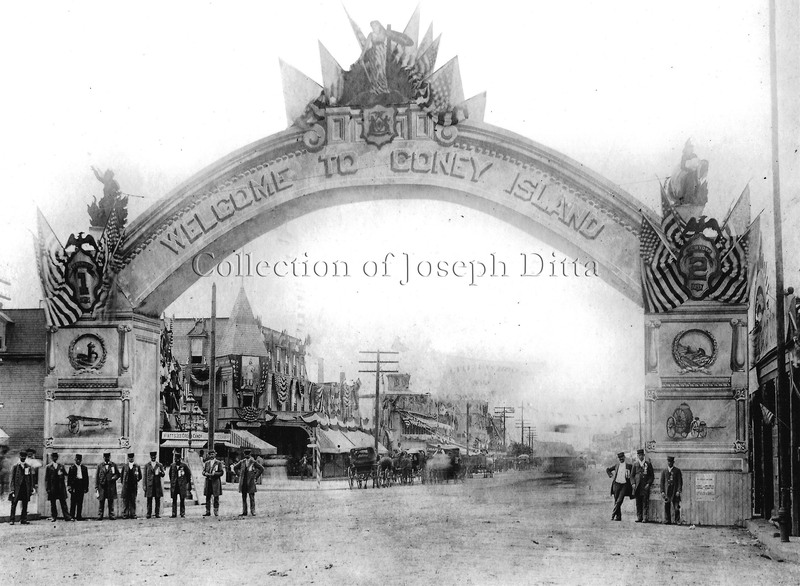 Twenty-seven thousand firemen descended on Coney Island in August 1893. No, the place wasn’t burning, for once! They came for the 21st annual convention of the New York State Firemen’s Association and a week of dinners, speeches, boxing matches and parades. As the New-York Tribune described the setting on Monday 14 August 1893 (p. 10, col. 1), Coney Island “was one mass of flags and bunting. It looked as if . 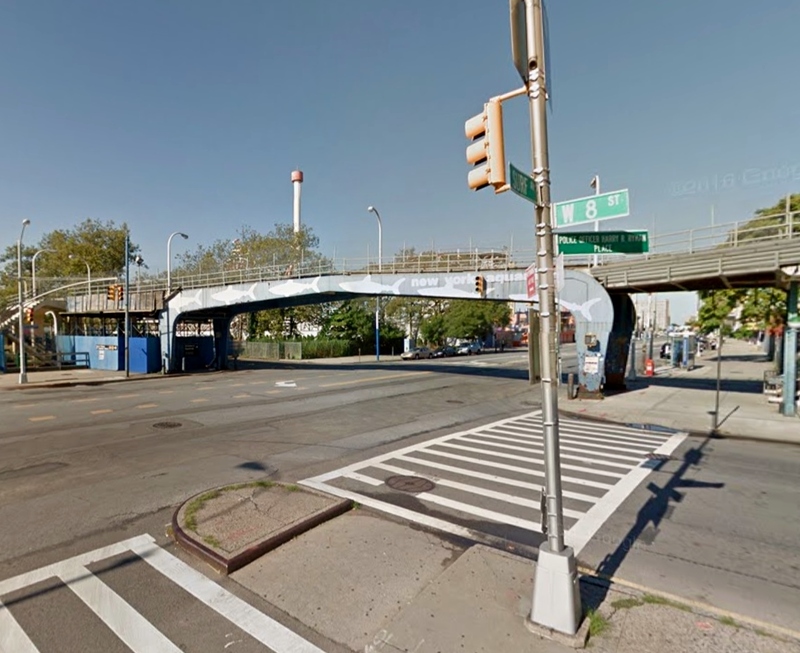 . .
It’s easy to imagine this fanciful arch stood where the pedestrian bridge would later span Surf Avenue connecting the West 8th Street subway station to the New York Aquarium. The arch is long gone, of course; it probably came down right after the convention. The bridge went up in the mid-1960s and served for half a century. Safety concerns prompted its overnight demolition in August 2013.